...its slightly rumpled "distressed" look is entirely intentional. but the client opted for open pockets. 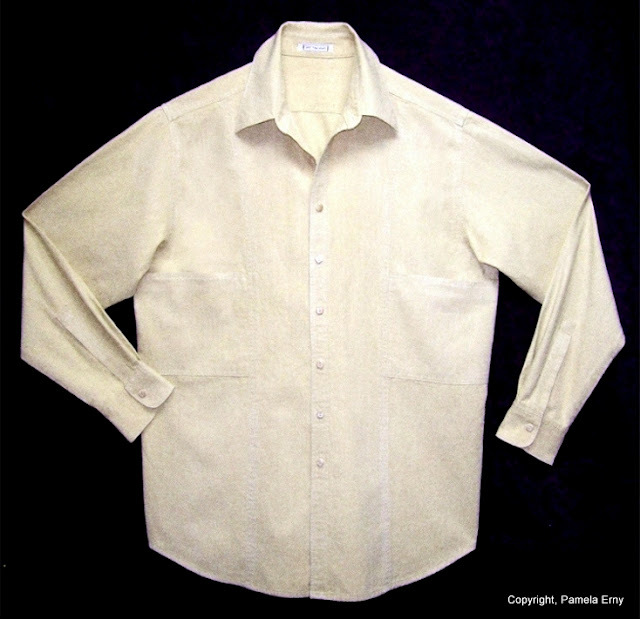 Made from a cotton/hemp blend from Hemp Traders, the fabric was distressed by washing it several times in hot water with a splash of vinegar. it was distressed further by "sanding" random areas. This Cross-Over Top made for my niece Willow, will be perfect during the holidays...and the winter beyond. 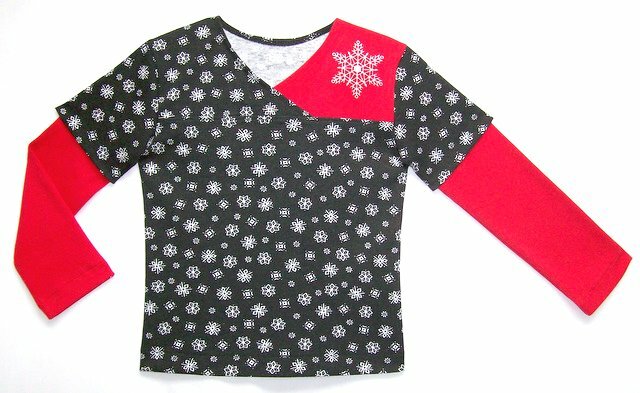 Made from cotton/lycra knit, it features an embroidered snowflake on the shoulder. Of course I made one for Bella too! 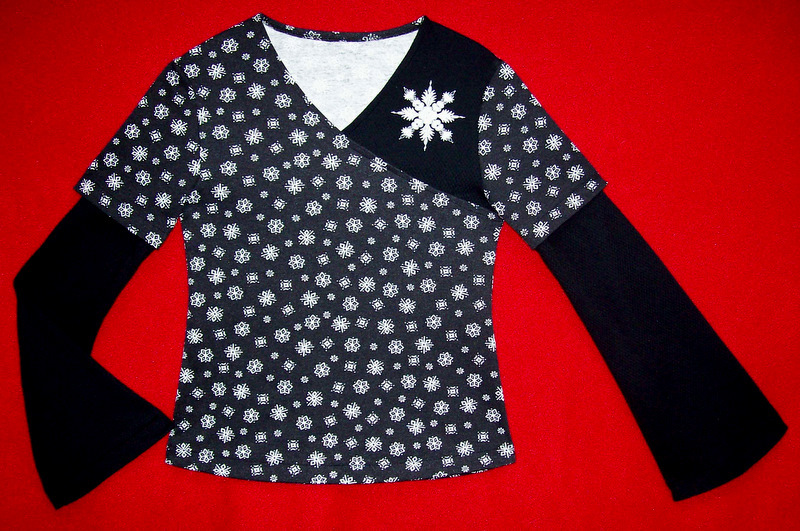 This delightful cross-over top is constructed differently from the one above, and is more suitable for a 7 year old. 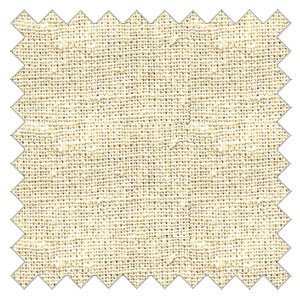 SEWING NOTES: Ottobre Design pattern #9 from issue 03/04...slightly modified. Shoulder seams stabilized with PRO-SHEER ELEGANCE Fusible Interfacing from Fashion Sewing Supply.